Hyped to the skies as the next big thing, there’s no doubt Selasi can write: at essay length, she’s both evocative and intelligent in a very rare way. Here, though, she dresses up a fairly slight family gathering plot – father dies, diasporic ‘Afropolitan’ family reunite to fight over old truths – in what is at times quite unforgivably over-written passages. The prose here isn’t so much purple as lost in a field of lavendar: soft-focus poetry unites with oddly telegraphed brutality to cobble together a novel of scenes and segments. But this is still a debut novel from a writer of considerably – if here over-used – gifts. Exciting even when disappointing. Far from a new disc – this was first released in 1984 – here, nevertheless, is a definition of the word ‘timeless’. The Hartland Seniors recently returned from a trip to south Georgia with this in their bag as a gift, and it’s one that will keep on giving: Mcintosh County is home to the Gullah, descendants of African slaves who have preserved their heritage with more success than many of their fellows, possessing both a creole language – and an almost unique musical idiom. This CD documents one part of that heritage, and for anyone with an interest in American folk musics it is essential … and for anyone who isn’t, it’s still electrifying. This exegesis of The Great Gatsby, its origin and expression both of its zeitgeist and of the more ineffable aspects of the modern existence it has done so much not just to embody but define is something special: like the novel itself, it exhibits as well as describes the qualities it seeks to dissect. Maybe that hides the recapitulation of our heroes’ well-known partying lifestyle, or the faintest connective tissue which links the Hall-Mills murder and Fitzgerald’s fiction. There is also, however, a guiding intelligence behind it all, a strict discipline that sits behind the evocation of nostalgia for a book so often reimagined and reconceived, and yet eternally, inescapably, only itself. Really very cleverly done. Laura Marling is like a dormant volcano: she reserves the promise of explosions, but keeps us in endless tension. Her second LP, 2010’s I Speak Because I Can, was such a huge improvement on her patchy debut that subsequent albums, two including this one, have felt like teases. This might be her folkiest of records – and, barring occassional blips such as ‘Where Can I Go?’ I mean that in its immediate sense, of windswept heaths and English vowels – and, as one would expect from producer Ethan Johns, the guitars are beautifully recorded, the vocals terrifyingly, softly central. The record is also one of her most gnomic, however, and those of us waiting for Marling to erupt may have to grow used to huddling in the risk zone, reverent and uncertain. One of the sharpest, most honest and accessible things he has ever written, and something of a let-down, as if after all this time Barnes can add only death to the argument he made in A History of the World in 10½ Chapters. The hinges between unlikely tall stories about nineteenth-century aviators, and twenty-first-century thoughts of suicide following the death of Pat Kavanagh, creak badly, albeit perhaps fittingly in a book about decay (is Barnes turning into the English Philip Roth?). Nevertheless, this is still an unusually emotive work from Barnes – and that feeling carries the weight of a discursive, ruminative work. Impossible to characterise, this record begins with doomy poetry recital before detouring through lilting lo-fi folk and pungent hip-hop. In this way, and as you might expect from the former Beta Band frontman, this meandering monster of an LP kicks the wedges from under the wheels of the rickety old singer-songwriter biplane and takes her for a proper fly. (I’m attracted to the image of Mason-as-Biggles.) It’s rare to find an album you can lose yourself in these days – they’re out of fashion, and in most cases rightly so. But here’s one, now angry now sad, now plangent now sprightly, that’s worth packing a compass for. Aslam’s fourth novel is that rarest of things, a focused picaresque. It has been criticised by the formidable Adam Mars-Jones for a failure of courage – and yet having read the novel cover to cover and word for word, I found myself more in agreement with the praise of Pankaj Mishra. In this story of two young men who travel, naively, to Afghanistan in the October of 2001, it is the very ambivalence of the resulting consequences which render its portrayal of history at the sharp end so memorable. We are used to hearing, from one side or another, the verities of black and white. In The Blind Man’s Garden, Aslam paints in technicolour shades of grey. Essential. 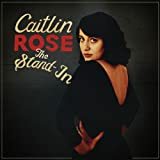 The ever-present temptation to be cooler-than-thou might have demanded I list Lord Huron or Keaton Henson in this space, and yet few records I’ve been listening to this month have had the sheer charisma of Caitlin Rose’s third LP. 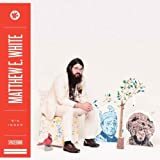 There’s a cleverness – even a slickness – to how Rose balances the cache of retro country with the accessibility of the modern pop sound here, and, if that sounds like a demerit, then the way in which this sly production always works in support of often fabulous songwriting is certainly not. They do make ’em like they used to, after all. 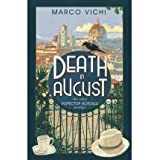 This is a quiet detective novel, more interested in the philosophical conversations Bordelli has over lovingly detailed meals with his interlocutors – sometimes family, sometimes friends, sometimes felons – than it is with the traditional police procedural. It’s refreshing for that, but also confounding. I do wonder if its discursive, cheeky style worked better in the original – this had the feel of a ‘dry’ translation – but nevertheless something of its quirky, askance style does survive. Wry. Full disclosure: Becky and Andy, who make up Grande Valise, are old and excellent friends. Nevertheless, believe that Minnewater is a corker: shimmering, melodic, bittersweet indie pop. Recorded, produced, mixed and released entirely under the duo’s own steam, this is a real achievement in any, but especially that, context: layered without being cluttered, crafted without being cloying. Buy it because it’s great, and because all proceeds go to charity. 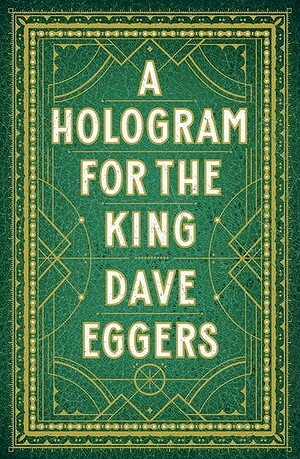 A Hologram for the King, by Dave EggersSarah Churchwell’s review of this novel speaks for me. Elsewhere, the novel’s been written up as Egger’s long-awaited masterpiece; I still feel like What Is The What? deserves that accolade (and would still contend, unlike the LRB’s Lennon, that it’s a novel). Hologram is well crafted, but feels received – all the stuff about declining America, the late-middle-aged protagonist, the orthogonal clashing of cultures, feels refined rather than fresh. Not quite a disappointment, but not quite a masterpiece, either. Big Inner, by Matthew E WhiteAll the hispters already know about this one, but if for whatever reason you’re late to the indie white soul party – get down here right now. 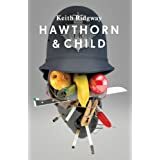 Hawthorn & Child, by Keith RidgwayEveryone from John Self to Paul Kincaid has lauded this novel as one of the best of last year, and rightly so: it is a superlative study in frustrating the reader’s expectations and yet retaining their interest, a bravura deconstruction of the crime novel and simultaneously a revitalization of the ‘literary’ form. Really and genuinely that rarest of things – pleasurable experimentation. Dan wrote a bit about one of the novel’s chapters here. 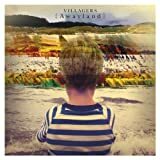 Awayland, by Villagers A song-and-a-half into this second album from Conor O’Brien’s Villagers, you should be in love. The hushed ‘My Lighthouse’ recalls the intimate, intense performance at the 2010 Mercury Prize ceremony which should have alerted the judges that they’d made the wrong decision. This then gives way to the quite different sound of second track ‘Earthly Pleasures’ without missing a beat. 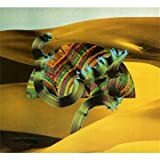 The extra musicians joining O’Brien here make the album into a sonically more diverse record than before – and yet all that made Becoming a Jackal such a rewarding album returns here, souped up. The perfect second release, and hurrah for it. 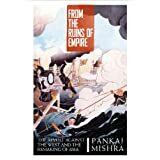 From the Ruins of Empire, by Pankaj MishraAnyone transfixed in 2012 by Mishra’s very public clash with Niall Ferguson in the pages of the LRB will not be disappointed by this trenchant account of the cynicism of the Western imperial powers – and the way in which their perfidy only fuelled the innovative thinking of the East’s writers and intellectuals. It’s a bravura performance, but also tends to underestimate the particularities of the various ‘Asian’ states he explores, to follow one particular thinker rather too closely for the comfort of context, and to over-state the implications of his history for contemporary events. On the other hand, Mishra does all this to far greater effect than many, and puts together a vigorous intellectual history of the region. Tramp, by Sharon van EttenReleased in the first weeks of 2012, I was late to the party on this one – and shamefully so. Idiosyncratic and passionate, the stark songs on this record somehow also manage to swell and fatten on repeated listens. 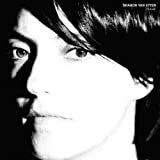 With a dedication to John Cale, Zach Condon in attendance and Aaron Dessner producing, van Etten is surrounded by indie royalty – and the confidence on show here is no doubt in part the result. Its release is evidence, if it were needed, that Jagjaguwar continues to be one of music’s most essential record labels. 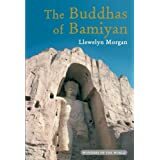 The Buddhas of Bamiyan, by Llewelyn MorganI missed Morgan’s talk at the Cheltenham Literary Festival, and I’d have been interested to witness his undoubted enthusiasm for a topic which here reads occasionally dryly. Essentially a tour through eyewitness accounts of the Buddhas written through the ages – and grouped, roughly, into Buddhist, Islamic and Imperialist phases – the book, perhaps inevitably, never quite captures what the buddhas were. On the other hand, it paints a detailed picture of the responses they have elicited, and of the cultural contexts which have done the receiving. Read in that way and for that purpose, the book becomes an intriguing cultural history – and full of fascinating incident. I Know What Love Isn’t, by Jens LekmanLekman’s first album in five years finds the Swedish singer-songwriter much as we left him, except more so. 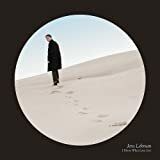 For his fans, this is no bad thing – Leman long since perfected his sweet-but-clueless persona, and for those who enjoy his soft subversion of easy listening, this will offer precisely what they hope. It may also, however, help convert the wary, since unlike some other of Lekman’s albums it doesn’t feature a single half-thought-through track, nor any cul-de-sac experimentations. It’s a heartfelt, melodic album sung and arranged prettily and at times even beautifully. One for the encroaching winter. The Death of King Arthur, trans. Simon ArmitageArmitage somehow makes an archaic form seem for the most part perfectly natural in modern English – and, if the Alliterative Morte Arthure is a more conventional, and yet rather longer, poem than his previous Middle English subject, Sir Gawain and the Green Knight, it is as close to an Iliad as the English language gets. This gives it drama and colour – mostly blood-red – that, in the hands of a fresh translator, drives the narrative ever onwards. 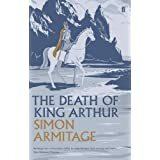 It helps that, with my undergraduate Old English, I find the weird re-emergence of the Anglo-Saxon war-band in the depths of Plantagenet England fascinating; but Armitage has managed also to render a text which stands on its own as a genuinely enjoyable read – given the creaky source material, he’s earned his laurels for that achievement alone. From the Lowlands, by Tom McRaeSelf-released as part of his inevitable trajectory from touted new young thing to best-kept-songwriting-secret, Tom McRae has now easily graduated to that small clutch of artists whom I’ve taken from one phase of my musical life to another without experiencing any loss. (Another of those, Ben Folds Five, have bitterly disappointed with their own recent return to recording.) So hushed is some of the work here that I didn’t at first get along with this new record, but repeated listens reveal it to be as subtle and snarling as McRae’s best work. In the unlikely event that you’re the sort of person who likes this sort of stuff and haven’t yet discovered McRae – discover him now, and help prove that the label system is now an irrelevance. The Teleportation Accident is buzzing with ideas and incident – rather too much so, perhaps, since few of its threads are fully resolved, but one can forgive a novel which asks questions of both historical and science fiction simultaneously a great deal. Beauman has oodles of style, a memorable way with one-liners, and a certain devil-may-care approach to narrative – none of which result, in the way of some such writers, in the book slingshotting away from its own story. From Weimar Berlin to post-apocalyptic California, this novel may cover too much ground – it feels incompletely formed, faintly unsatisfying – but it is both readable and ambitious. Which is why it didn’t make the shortlist, obviously. Django Django, Django DjangoGimmicky band names irritate me. So when all the hype around Django Django in the first half of this year reached my curmudgeon’s ears, I was sceptical. Their record, however, is a fabulous thing: heterodox yet catchy, it has rightly been praised for employing world rhythms in the tired indie format, and the band have achieved a weird fusion of Graceland, Yeasayer and Fleet Foxes. Highlights such as ‘Default’ and ‘WOR’ will be defining all the Fresher discos you didn’t go to this September, and making their way into the Q and Mojo Best Of lists. That is, it’s in danger of being crowned a modern classic. This is a fascinating folly of a novel, comprised almost entirely of dialogue and without anything quite approaching a cohesive plot. Like her far more completely realised Darkmans, shortlisted for the Booker Prize, The Yips defies both categorisation and summary, and features at its heart a question of intent and of reality: is Jen, the teenager at the margins and yet the centre of each Barker’s odd little plottish vignettes, a genius manipulator or a clueless mess? In this sense, Jen stands for the novel – and if Darkmans remains, paradoxically, a more focused exercise in the scattershot, The Yips is nevertheless a blisteringly ambitious book – and one which aims to reflect contemporary experience in a way still over-rare in British literary fiction. Voice of Ages, The Chieftans With guest appearances from a variety of indie folk’s leading lights – Bon Iver, The Decemberists, Carolina Chocolate Drops and more – this could have been a gimmicky celebration of The Chieftans’s 50th birthday. In fact, time and again the star of each of these songs is the music of this most venerable of traditional acts, and Voice of Ages emerges as a remarkably vibrant album. Joyful.